When we experience God's forgiveness we cannot help but express that same forgiveness to others. In this message, Pastor Nirup challenges us to forgive others when they have heart us, because if we don't, we are the ones held captive. Forgiveness is then the starting place of experiencing God's freedom. The Lord's Prayer ends with Jesus teaching us to ask God to help us avoid temptation in daily circumstances. In every situation we can choose to walk in God's way or fall into our own ways. This is a powerful message that will shape your practical experience of God. God will not lead you into His purpose and leave you without His provision. In this message Pastor Nirup teaches us to pray the words of Jesus and ask God to provide for our daily needs. 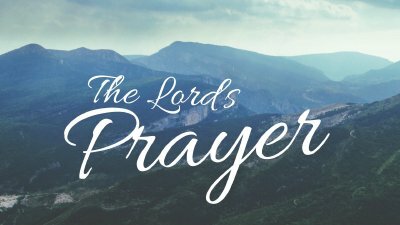 In week 2 of our series, The Lord's Prayer, Pastor Nirup unpacks the meaning behind "Your Kingdom come, Your will be done." In this message you will learn how these petitions not only shape the way you pray, but they way you experience God in your everyday life.